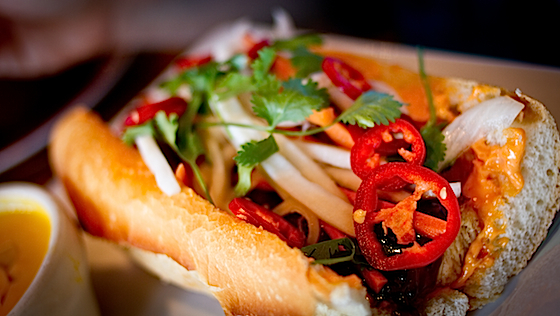 9 Responses to "Wordless Wednesday | Banh Mi"
Oh, good lord, that looks tasty! YUM! That's a beauty! What kind of mayo is on it? Oh my. I want a bite of that right now. I recognize that! Miss you Denise! I clearly should not have skipped out on this lunch. Looks awesome--and I haven't had a good banh mi in quite some time. Putting it on my list for next Seattle trip. OOOh that looks YUMO! I have great memories sitting on the side of the road in Vietnam eating one of these straight from the food cart. Lovely.